Our liver is a very special part in our body-even when it is damaged by more than 50%, it can be fully restored. The mechanism of liver regeneration is still not completely clear. The liver is the most important metabolic organ in the body. The liver in our body has the role of a factory of blood. Liver participates in the recovery process of blood. It also helps to strengthen and stimulate digestion in the body. 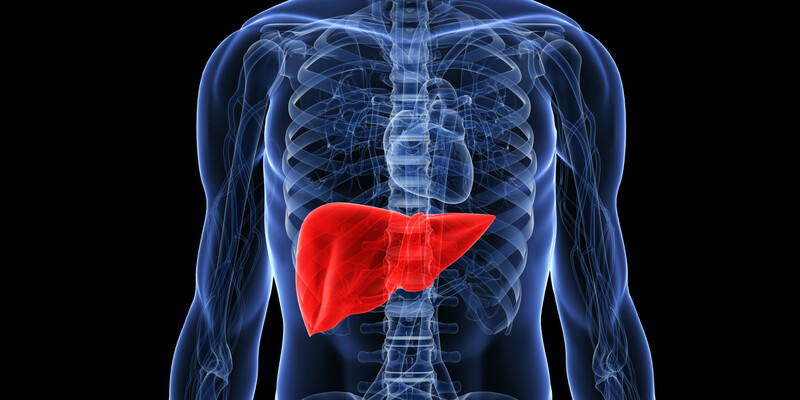 The liver performs another important function: it purifies the blood and eliminate all toxins and impurities from it. It is the second largest organ (after the skin) and one of the most important because it plays a role in the regulation of fat, balance hormones, digestion and circulation. Liver is located behind the ribs in the upper right abdomen. If our liver stop working, we can only survive for two days. Enjoying alcohol and “fast” foods can sometimes be fun, but then your liver is working under a special regime. All these drinks, processed foods and toxic chemicals we are exposed remain in the liver. In our modern age we have created thousands of new chemical compounds that not exist in nature. Many of the chemical compounds are part of our diet (preservatives, flavors, colors). Other entries from the drugs that many of us use every day. Chemistry is also used in cosmetics, cleaning products, stationery, textile industry and so on. All these chemicals every day are passing through the liver, which has to cope with this burden. In most cases, our liver manages to cleanse the blood of these toxins. -Poor nutrition over a long time. The general rule is to avoid fatty foods, take few servings of vegetables and two servings of fruit a day and consume alcohol in small quantities. Ginger, most dark green leafy vegetables, beets and mint are very useful. Carrots: Rich in beta carotene helps regulate blood sugar levels and reduce inflammation. Milk thistle: It contains antioxidants that act as blockers toxins. Walnuts: They help with the elimination of toxins. Lemon: Clean, not only the liver, but also the bladder, kidney, gastrointestinal tract and lungs. Garlic: Helps purify the blood and makes it easier work to kidneys and liver. Tea Dandelion: Dandelion is used for many years in folk medicine. It purifies the blood and acts as an antioxidant, so it is recommended to people who have liver problems. Beet juice: It contains a chemical called betaine, which stimulates liver cells. In addition to these foods, it is important that adequate sleep, occasionally visiting the sauna, indulge in the lymphatic drainage and drinking plenty of filtered water.